The latest 13F reporting period has come and gone, and Insider Monkey is again at the forefront when it comes to making use of this gold mine of data. We have processed the filings of the more than 700 world-class investment firms that we track and now have access to the collective wisdom contained in these filings, which are based on their December 31 holdings, data that is available nowhere else. Should you consider KKR & Co Inc. (NYSE:KKR) for your portfolio? We’ll look to this invaluable collective wisdom for the answer. KKR & Co Inc. (NYSE:KKR) has seen a decrease in enthusiasm from smart money recently. 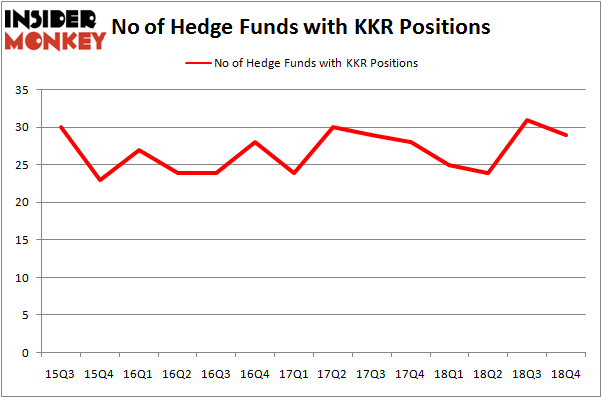 Our calculations also showed that KKR isn’t among the 30 most popular stocks among hedge funds. So, why do we pay attention to hedge fund sentiment before making any investment decisions? Our research has shown that hedge funds’ small-cap stock picks managed to beat the market by double digits annually between 1999 and 2016, but the margin of outperformance has been declining in recent years. Nevertheless, we were still able to identify in advance a select group of hedge fund holdings that outperformed the market by 32 percentage points since May 2014 through March 12, 2019 (see the details here). We were also able to identify in advance a select group of hedge fund holdings that underperformed the market by 10 percentage points annually between 2006 and 2017. Interestingly the margin of underperformance of these stocks has been increasing in recent years. Investors who are long the market and short these stocks would have returned more than 27% annually between 2015 and 2017. We have been tracking and sharing the list of these stocks since February 2017 in our quarterly newsletter. Even if you aren’t comfortable with shorting stocks, you should at least avoid initiating long positions in our short portfolio. Let’s take a peek at the fresh hedge fund action surrounding KKR & Co Inc. (NYSE:KKR). What does the smart money think about KKR & Co Inc. (NYSE:KKR)? At the end of the fourth quarter, a total of 29 of the hedge funds tracked by Insider Monkey were long this stock, a change of -6% from the second quarter of 2018. On the other hand, there were a total of 25 hedge funds with a bullish position in KKR a year ago. With hedgies’ positions undergoing their usual ebb and flow, there exists a few notable hedge fund managers who were boosting their stakes significantly (or already accumulated large positions). 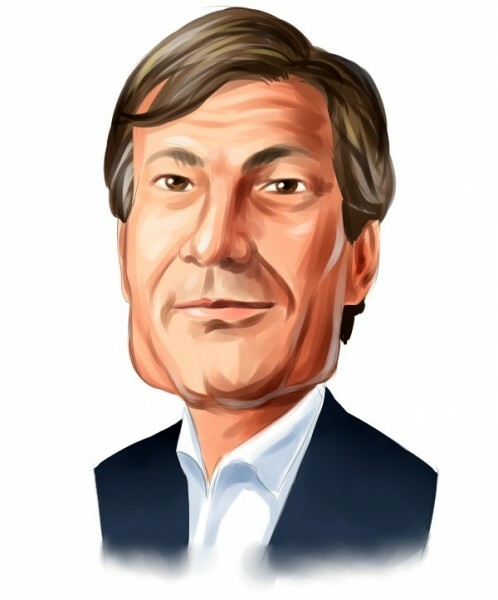 Among these funds, ValueAct Capital held the most valuable stake in KKR & Co Inc. (NYSE:KKR), which was worth $995.2 million at the end of the third quarter. On the second spot was Akre Capital Management which amassed $248.4 million worth of shares. Moreover, Pzena Investment Management, Egerton Capital Limited, and Ariel Investments were also bullish on KKR & Co Inc. (NYSE:KKR), allocating a large percentage of their portfolios to this stock. Seeing as KKR & Co Inc. (NYSE:KKR) has faced falling interest from hedge fund managers, it’s easy to see that there exists a select few fund managers that decided to sell off their positions entirely by the end of the third quarter. Interestingly, James Parsons’s Junto Capital Management said goodbye to the biggest stake of the “upper crust” of funds tracked by Insider Monkey, valued at close to $51.2 million in stock. Guy Shahar’s fund, DSAM Partners, also dropped its stock, about $14.7 million worth. These transactions are important to note, as aggregate hedge fund interest was cut by 2 funds by the end of the third quarter. Let’s go over hedge fund activity in other stocks – not necessarily in the same industry as KKR & Co Inc. (NYSE:KKR) but similarly valued. These stocks are American Water Works Company, Inc. (NYSE:AWK), Weyerhaeuser Co. (NYSE:WY), CenturyLink, Inc. (NYSE:CTL), and CBS Corporation (NYSE:CBS). This group of stocks’ market valuations are closest to KKR’s market valuation. As you can see these stocks had an average of 35.25 hedge funds with bullish positions and the average amount invested in these stocks was $818 million. That figure was $2030 million in KKR’s case. CBS Corporation (NYSE:CBS) is the most popular stock in this table. On the other hand American Water Works Company, Inc. (NYSE:AWK) is the least popular one with only 28 bullish hedge fund positions. KKR & Co Inc. (NYSE:KKR) is not the least popular stock in this group but hedge fund interest is still below average. Our calculations showed that top 15 most popular stocks among hedge funds returned 19.7% through March 15th and outperformed the S&P 500 ETF (SPY) by 6.6 percentage points. Hedge funds were also right about betting on KKR as the stock returned 23.7% and outperformed the market as well.